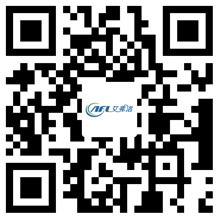 What's Differneces Between Centrifugal Fans and Axial Fans - Hangzhou Airflow Electric Appliances Co.,Ltd. Although there are some similarities between centrifugal fans and axial fans, there are also distinct differences. Regardless, both types of fans are used for industrial applications. The design and function of a centrifugal fan is very different from those of an axial fan. Their differences make them each suited for different applications and customers are sometimes unclear as to which fan type will best suit their needs. To help clear up that confusion, here is a breakdown of the fan types, their benefits, and their uses. Axial fans date back to the horizontally configured windmills of Europe in the Middle Ages. The first electrically powered fans, introduced in the 1880s, were axial fans.Axial fans also have different shaped blades, such as paddle, sickle, variable pitch, and aerofoil. For low pressures and relatively high flow rates with the flow being parallel to the fan’s axis, this is the perfect choice. In addition, axial fans have a low power input. Typically, axial fans are the better choice for cooling applications or simple extraction with low system resistance. For example, this would include moving air from a single large space to another area. Axial fans are also commonly used for condenser cooling in refrigeration and desk fans. The centrifugal fan was invented in 1832 by military engineer Lieutenant General Alexander Sablukov of the Russian Empire’s Imperial Russian Army. Often called blowers, centrifugal fans vary differently from axial fans. typical impeller blade construction types includes Paddle, Radial, Backward curved and Forward curved. Characteristics are low flow rates and high pressures with flow perpendicular to blower axis. Air enters around centre of the fan and exits around the outside.Centrifugal fans with Paddle impellers are used when debris will pass through the system because this configuration prevents any clogging. Fans with backward curved blades produce less air volume than Axial units, but generate considerably more pressure and are the least hungry for power in the centrifugal range. They can also be produced as Multistage units to give even higher pressures.By comparison, the Centrifugal fans with Forward curved blades develop the best airflow and pressure requirement in size by size comparison, although they will require extra motor power.Typical applications for Centrifugal fans include air handling units, process heating and cooling, electronic cooling and boiler combustion air.